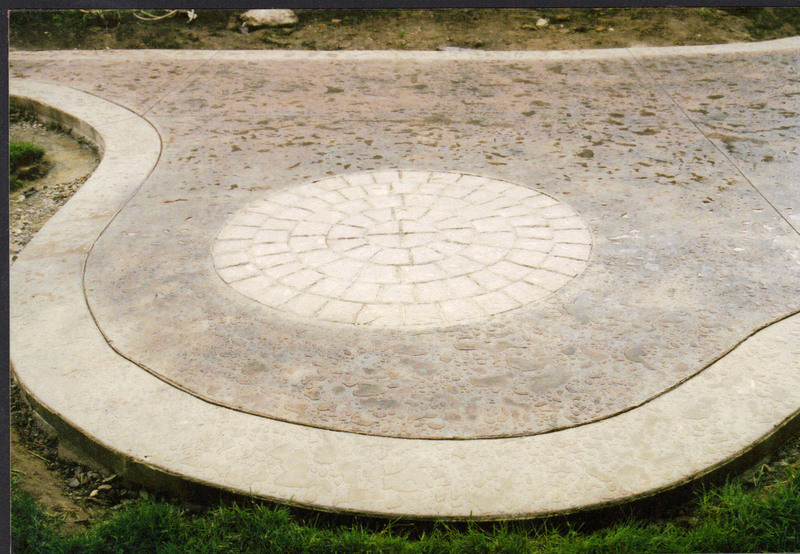 With over 150 projects completed each year in this area, we invite you view some pictures below for a look at our workmanship and for ideas that will inspire you. 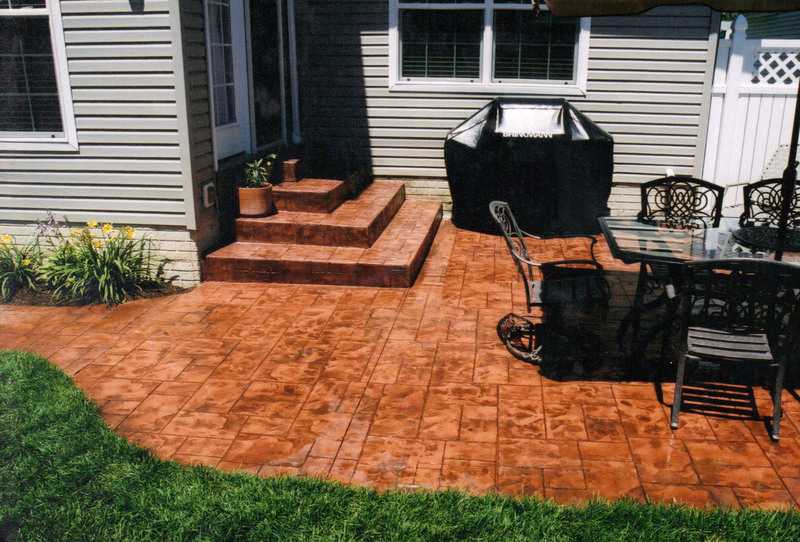 You can also ask for a free copy of our full color, 15 page booklet which contains samples of our stamped concrete. 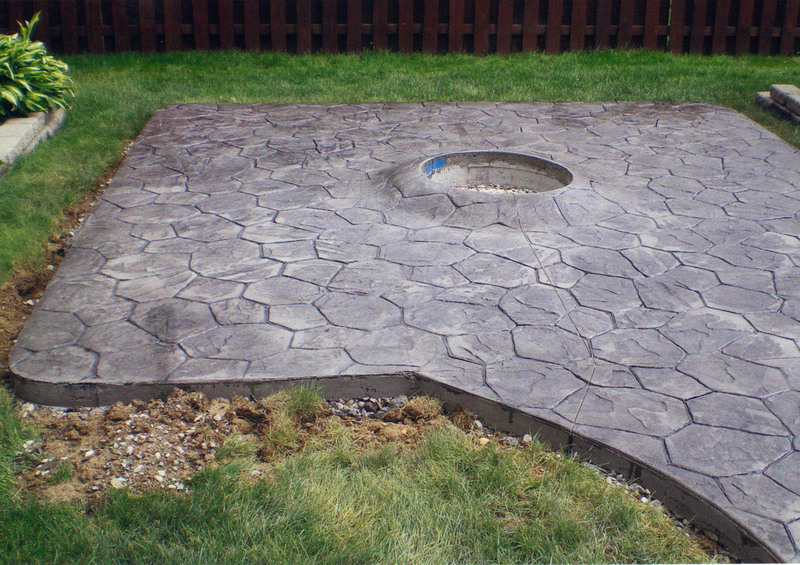 For more details on stamped concrete, click on the Services tab to the left of this page. Also available upon request is our referral sheet. 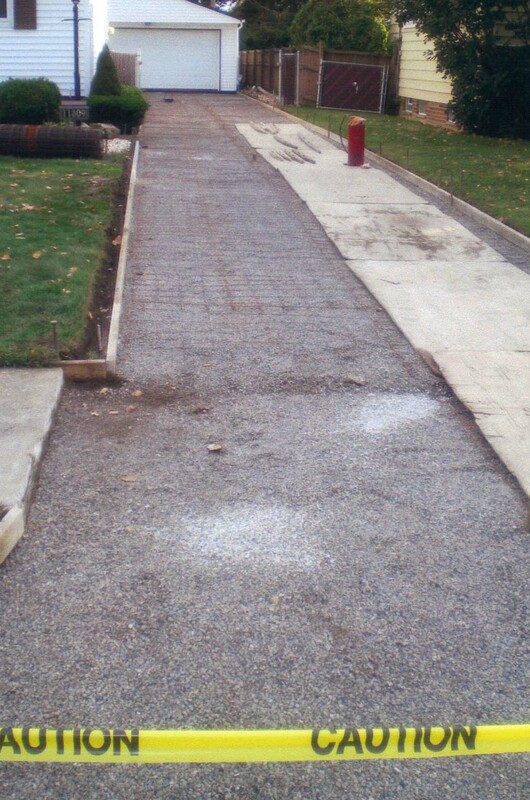 It is a compiled list of cement driveways listed by city. 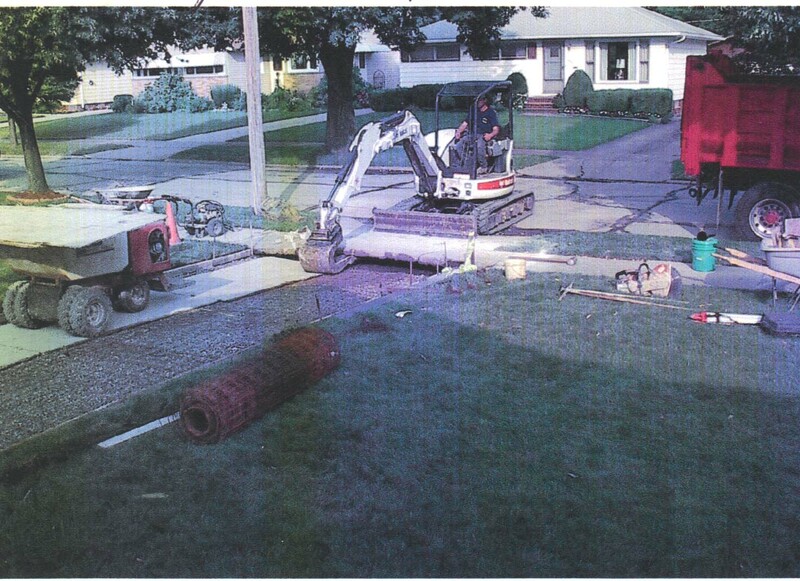 At your convenience and a location close to you, you will be able to stop by to take a look at our work. 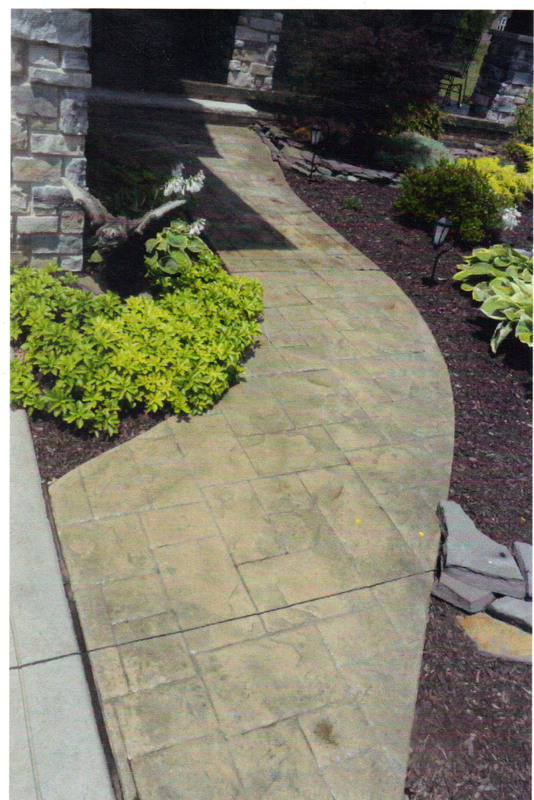 Pictured below is a hand tool cut and swirl finish on a driveway. This is a customer favorite. 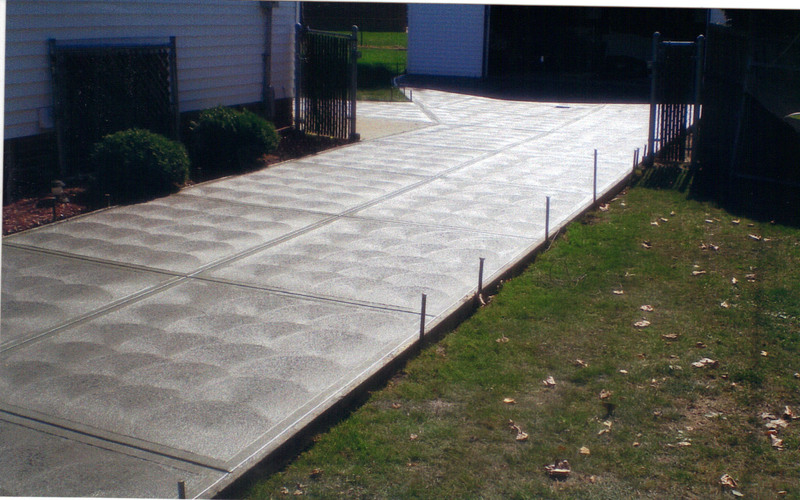 The other style that we recommend is a Broom Finish which is more aggressive, stronger and will tend to withstand Cleveland's harsh winters. 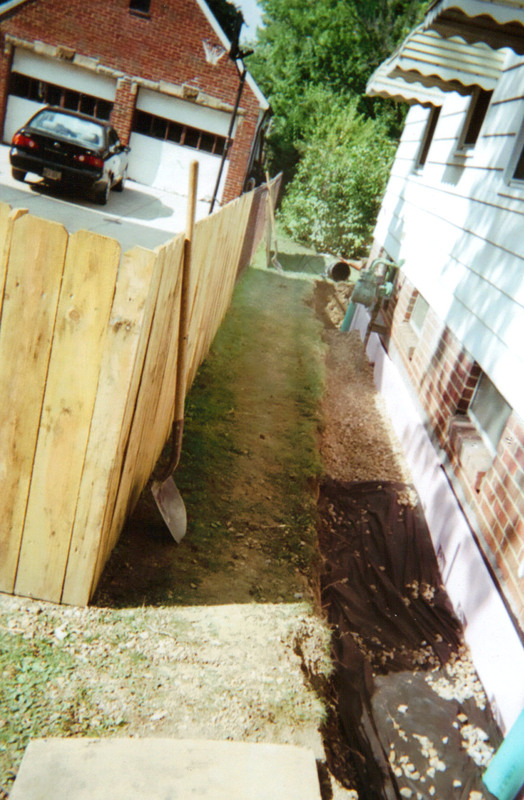 The condition of your yard is one of our top priorities. 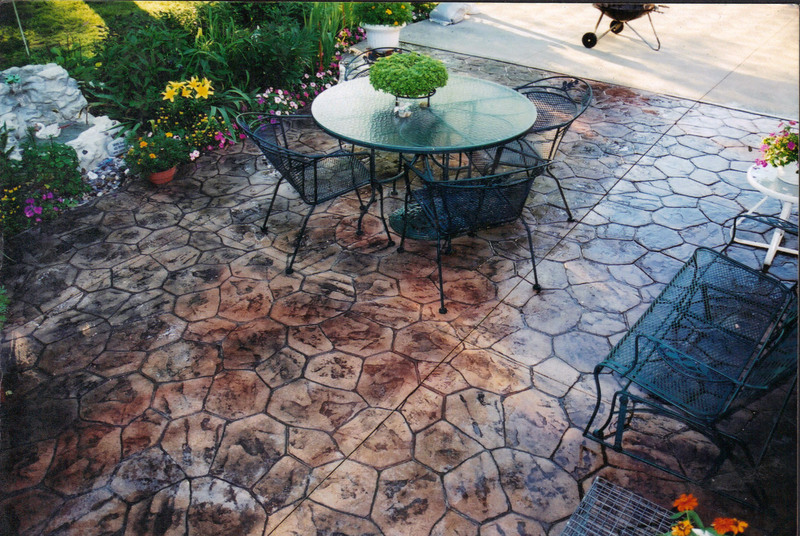 We are delicate with your plants and lawn and make minimal mess that only pertains to the job. 1. 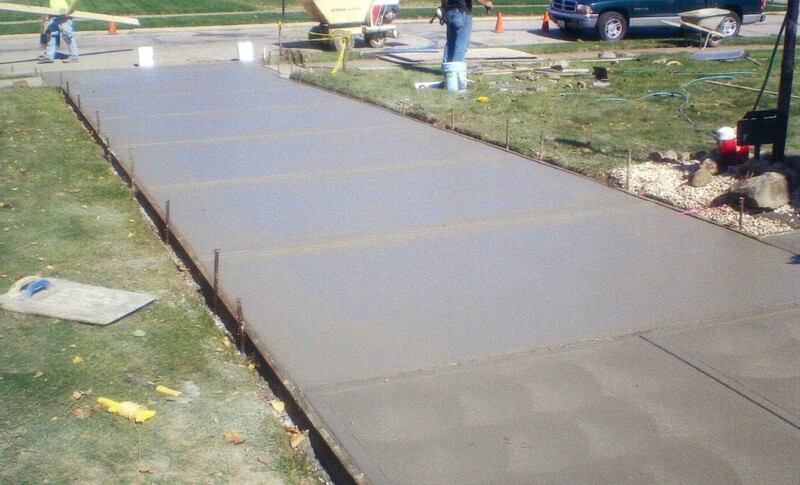 Excavate the footer and powerwash the foundation. 2. 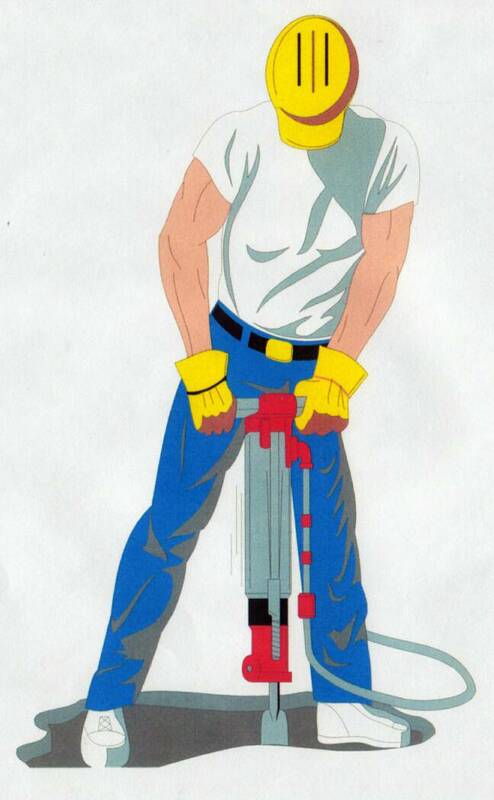 Inspect wall for any damage and make any necessary repairs. 3. Parge wall with a special blend of bonding agent added to the cement & ironite to adhere to foundation. 4. Brush on rubberized foundation emulsion to damp proof the foundation. 5. 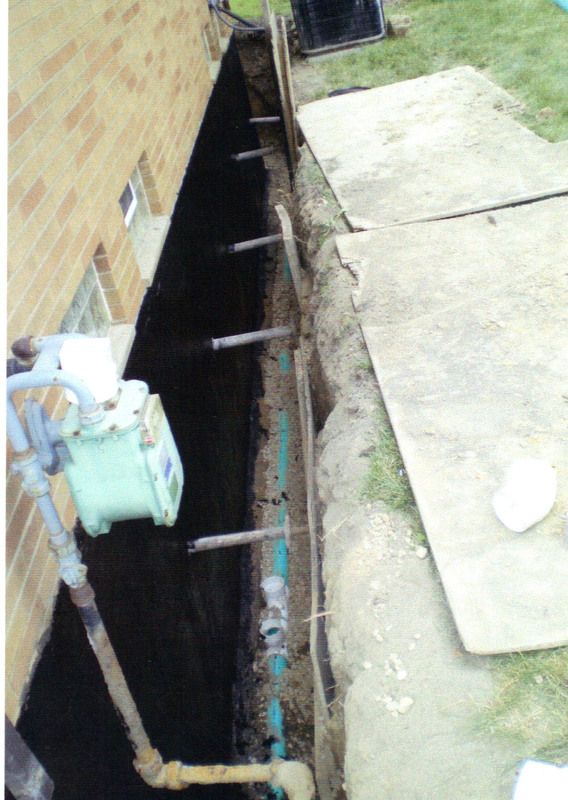 Flush remainder of existing drain tile and check storm outlet. 6. 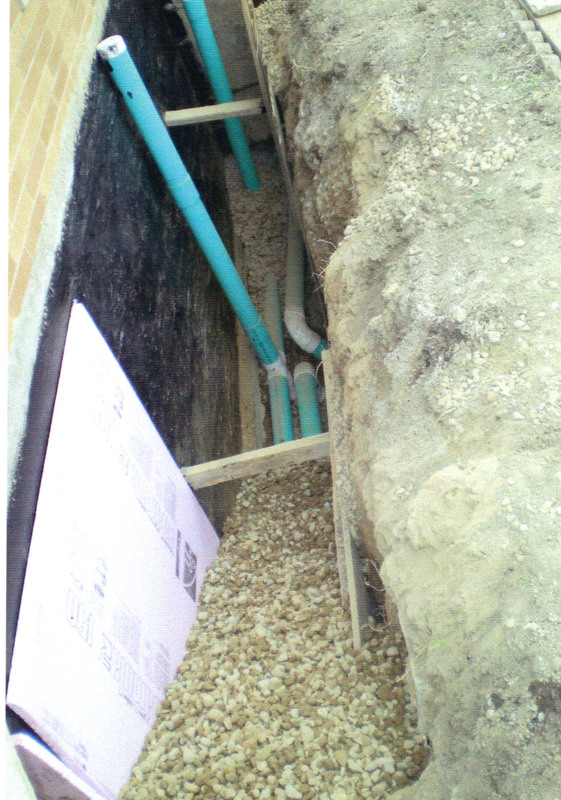 Replace all downspouts and drain tile lines with 4" 3034 P.V.C pipe. Install one clean out per wall. 7. 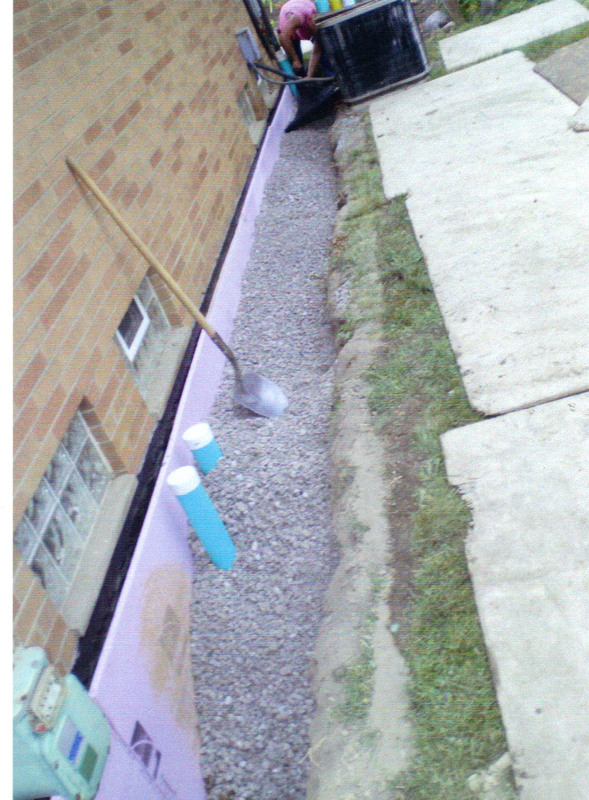 Place 1" foam installation against foundation to protect the wall from future soil shifts from freeze, thaw cycles. 8. 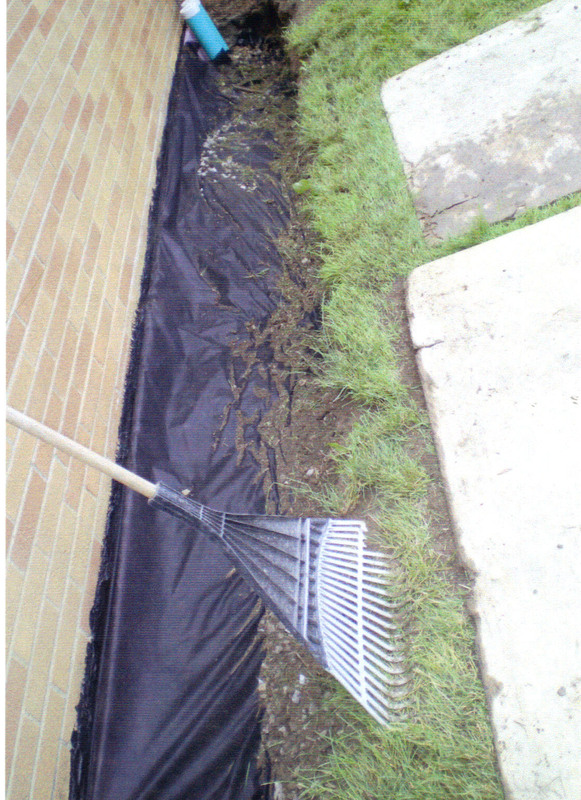 Back fill with washed gravel within 12" of grade, cover gravel with filter membrane & cover with topsoil. 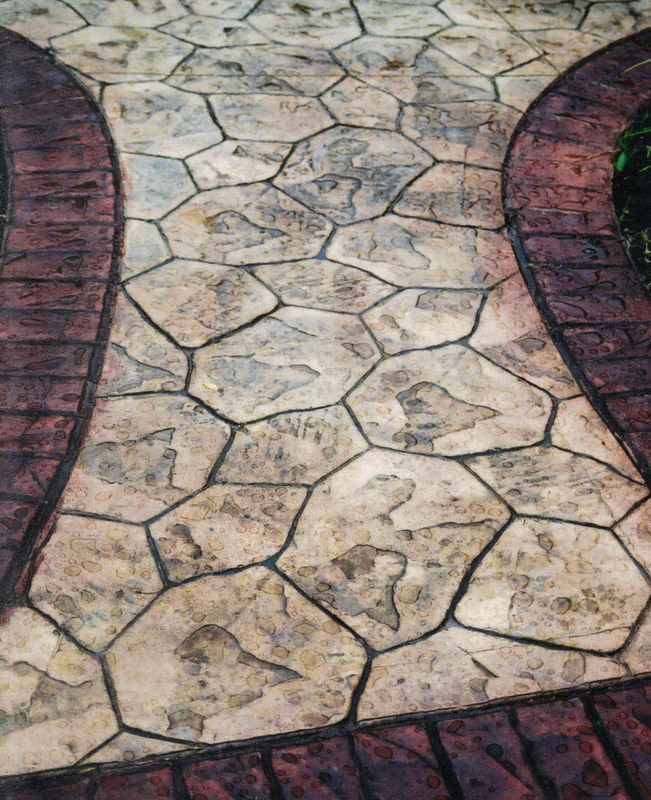 There are a wide range of colors and patterns to choose from when upgrading your patio or walkway with a unique stamped concrete area. 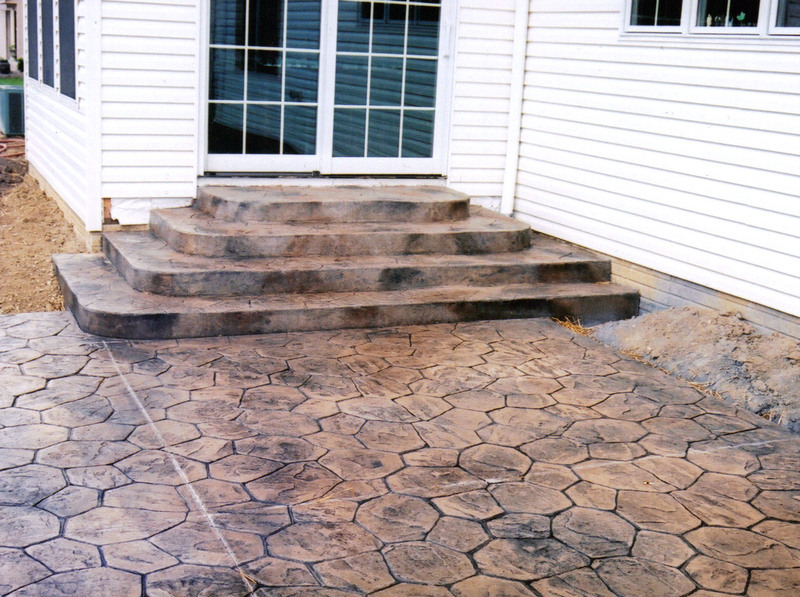 Stamped Concrete adds a new level of decor and added value to your home.